The story is the value. Enjoy the stories behind the furniture. 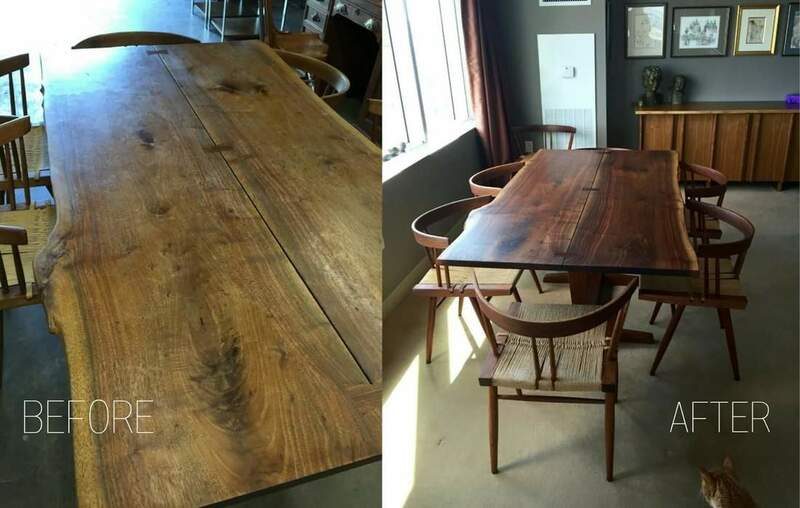 Our most cherished family heirloom is the dining room table set that was purchased from George Nakashima’s studio in New Hope, Pennsylvania in about 1965. My mother and father bought it for their new home in Connecticut, along with a sideboard, coffee table and two stools. The dining room table and wicker chairs, all in walnut, were the centerpiece of our family’s home for 50 years, until my father died in 2015. The table and chairs were placed in a sunny spot for more than a generation and had faded badly. When I inherited the set, I searched all over southern New England for someone who could restore such an important (not to mention valuable) set of furniture. I finally settled on Gary LeClerc at [RE]new. When I spoke with him on the phone, not only was he familiar with Nakashima’s work, but seemed genuinely excited about working on a piece by such a prominent woodworker. Sensing his passion for his work in general and this set in particular, I hired him to restore it all. 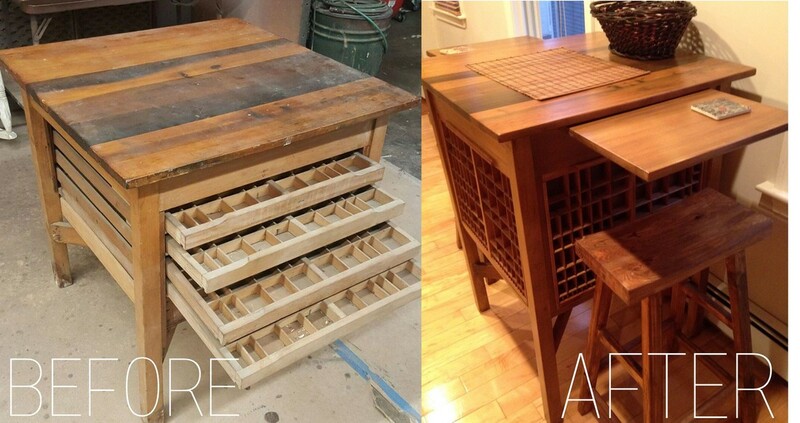 As you can see from the photos, he brought it back to its former glory by repairing the damaged chairs and refinishing the table from top to bottom. Nearly every time I eat on it, I think of how proud my parents would be that their beloved dining table set, where so many family memories were made, has been lovingly restored and is now making new memories. Gary did an amazing job and it was refreshing to work with someone who cared as much about my furniture as I do. Various members of my family have owned an Italianate mahogany library table since my great-grandmother purchased it new in about 1920. I’ve had it myself about a dozen years, but I have known it my entire adult life, and I have always recognized that underneath its original dark, brownish-purplish finish, there was a lot of visual detail that simply could not be seen properly. My long-term ambition had been to someday, somehow, get the table refinished in a way that would show off its virtues. I could envision what I wanted to achieve – the question was who would be able to help me achieve it? And then I found Gary LeClerc. Gary did a small project for me before the table, refinishing properly a small spindle chair that I had spoiled as an amateurish teenager. I learned that although Gary is young in years, he is old-school in his approach to his work: he’s a craftsman who actually cares about what he does and how he does it. 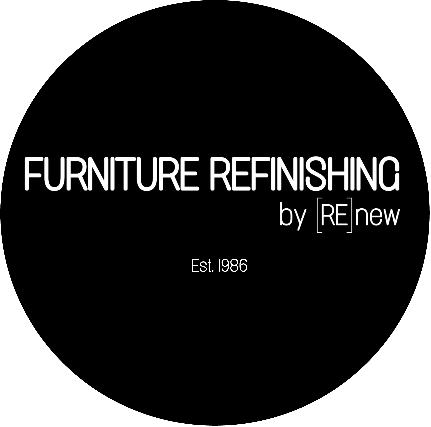 He is also superbly knowledgeable about refinishing products and techniques, has a keen eye, and has an active interest in furniture styles and history. And in addition to his outlook and his technical skill, Gary’s other great quality is his interest in working with a client as part of a collaboration, rather than simply as a hired specialist. Being able to contribute my own input into my project was exactly what I’d wanted. And I think the superb outcome speaks for itself as a testimonial to how well this collaborative approach worked. I could not be happier about both our partnership and its result. My table had been a piece of junk. Now it’s a showpiece. -Don S.
I grew up in central Florida during the 1960’s and ‘70’s. My father died in 1967 when I was 7 years old, leaving my mother to raise my three older sisters and I on an educator’s modest salary. After a couple of years of saving, she was able to afford the purchase of a solid maple Heywood Wakefield dining room set. However, my mother could only afford to buy five of the six chairs in the set. My mother was immensely proud of that set and for 45 years she made it a functional centerpiece everywhere she lived up to the day that we moved her into assisted living accommodations in 2013. At this time, I requested possession of the dining set. Since the furniture set was 45 years old, it had naturally become quite worn and stylishly outdated. My wife Linda and I wanted to maintain the set’s functionality and legacy as a timepiece, but we acknowledged that it needed a substantial makeover. There was only one person we would trust - Gary LeClerc of [RE]new. Having known Gary personally for nearly 20 years, we have witnessed his emergence as a master craftsman with a unique capability of capturing the essence and personality of furniture. Gary does more than just restore furniture… he embraces the timepiece legacy and attempts to create a living tribute within a home or workplace environment. I conveyed my story about the furniture to Gary and he wholeheartedly embraced its sentimental value. He provided several approaches to capturing the essence of the 5 chair dining room set so that it told my mother’s story in a modern yet functional fashion. Anybody who knows me would affirm that I rarely place much sentimental value in furniture or other physical assets. However, I have always cherished this hutch and furniture set because it represented my mother’s commitment to providing the best for her family. Gary LeClerc has managed to capture the emotional connection I have with this set as a childhood testament, one that I will be able to cherish for many years to come. - Ben B. My grandfather started his own printing press business out of the basement of his mother's home when he was around 12 years old. Unusual for the time, he was raised by a single mother and his income from the printing press business was used to supplement the money his mother made from her dress shop. After he was married, he continued printing as a side business and the money he made allowed his family of five children to take a vacation every year to a lake in Maine. Later in life he used the press to produce donated materials for organizations he supported, such as the Lions Club. This was the table he used to store the typeset for the press, each of the 4 drawers (now displayed on the outside) has many small compartments to hold different letters and numbers of various fonts and sizes. After my grandfather's death last year Gary helped us to refinish the table into a functional breakfast table. It is a beautiful addition to our kitchen and we are so grateful to have a meaningful reminder of my grandfather's hardworking and determined spirit! - Paige F.